October 9, 2016  He's been a hero to musicians from Brian Eno and David Bowie to Radiohead and The National. Now entering his ninth decade, American composer Steve Reich is always looking ahead. January 4, 2016  As a new year begins, take a quick glance back at some of the notable birthdays, anniversaries, awards, trends and farewells that made 2015 unique in classical music. January 27, 2015  In 1965, a happy accident with tape machines, and the words of a Pentecostal preacher, helped launch the celebrated composer's career. September 10, 2014  Estranged colleagues Philip Glass and Steve Reich hadn't appeared together for more than 30 years — until last night in Brooklyn. Yet it was the music, not the reunion, that carried the show. March 25, 2014  To mark the venturesome string quartet's 40 years of commissioning and performing new music, composers Steve Reich, Terry Riley and others recall their favorite Kronos memories. July 10, 2013  Not that long ago, a composer using an electric guitar would have seemed like a crime against the state of classical music. February 3, 2008  Grand Valley State University is not known for its music department. 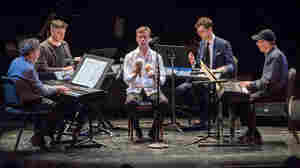 But the New Music Ensemble at the small Midwestern college has impressed the critics and the composer with a new recording of Steve Reich's Music for 18 Musicians. 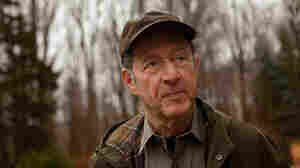 December 10, 2009  Steve Reich introduces key pieces in a 50-year career as one of America's most innovative composers. It's part of Maximum Reich, a weeklong celebration of the composer and his music on Q2, the new music stream from WQXR in New York. November 21, 2007  In his new book The Rest Is Noise: Listening to the Twentieth Century, critic Alex Ross explores the richness of classical music created in turbulent times. Out of 100 years of music, Ross picks five classics for curious listeners. October 12, 2007  From the musical buzz in pre-WWI Vienna to the experimental New York scene of the 1960s and on through today, Alex Ross reveals the story of 20th-century music in his new book The Rest Is Noise. 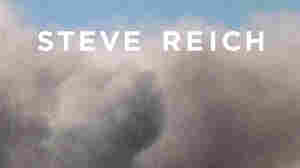 February 2, 2007  The propulsive, rhythmic music of pioneering minimalist composer Steve Reich is represented by two major works: his Three Movements for Orchestra, which showcases the LA Philharmonic's percussion section; and Tehillim, his classic setting of Hebrew psalms, sung by Synergy Vocals. October 6, 2006  Minimalist composer Steve Reich, who celebrated his 70th birthday last week, is considered one of our foremost living composers. Nonesuch Records has released a new box set, Phases: A Nonesuch Retrospective, and in New York City, there will be a month-long series of dance performances, concerts, and workshops at BAM, Carnegie Hall, and Lincoln Center. Interviews with Reich originally aired May 11, 1999 and March 31, 1989. October 3, 2006  For maximum effect, Steve Reich's "Music for 18 Musicians" should be heard in its entirety, in order to capture the full complement of drama, color and urgency. But to dive right in, head straight for Section 6, where the patterns are as thick, colorful and confusing an exquisitely woven Persian carpet. October 1, 2006  American composer Steve Reich turns 70 Tuesday. Reich is a pioneering minimalist, working in a style of music characterized by an almost hypnotic repetition, with subtle changes in texture. 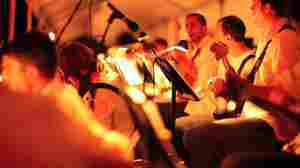 April 16, 2006  The Brooklyn-based ensemble So Percussion improvises instruments from materials found at Home Depot and other sources associated more with plumbing supplies than with the performing arts. A distinctive sound emerges. 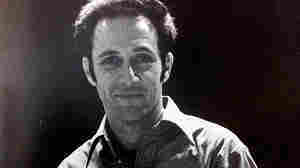 September 25, 2005  Steve Reich is one of the pioneering voices of the minimalist movement in classical music. Now he's written two pieces that he says may be his best work. A CD of these pieces is being released this week. February 3, 2002  Weekend Edition Sunday music director Ned Wharton offers up three new CDs of a "minimalist" tone. 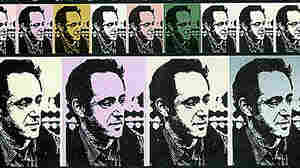 January 12, 2001  Minimalist Composer Steve Reich on his composition Its Gonna Rain inspired by the Cuban Missle Crisis. January 1, 2008  In his new book, New Yorker critic Alex Ross dispels the notion of a classical music deathwatch. The Rest Is Noise explores the 20th century through the richness of its music. 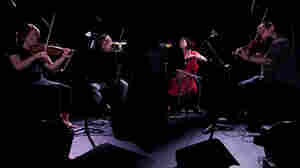 September 11, 2012  A group of New York City contemporary music dynamos traversed three landmark works in a single evening, recorded live at New York's (Le) Poisson Rouge. 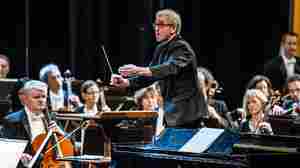 September 4, 2011  In a recent work, the New York composer crystallizes the chaos, pain and anxiety that have overshadowed the past decade.